Who looks after your property and finances should you become mentally incapable of doing so? If you have made a Lasting Power of Attorney attorneys of your choice can act on your behalf. However, if there is no prior planning (meaning no Lasting Power of Attorney has been made) an application would need to be made to the Court of Protection to appoint a Deputy. The Deputy is then given the authority to make financial decisions on your behalf. Someone with severe learning disabilities. The application can be made to appoint a family member, a friend or a professional; our Managing Director Stephen Beck is a court-approved Deputy and acts as professional Deputy for a number of clients. Applications to the Court of Protection to appoint a Deputy are quite slow and typically take several months to be processed; during which time assets (including joint accounts) can be frozen and become inaccessible. This could make the process of the Deputyship application more difficult and stressful. 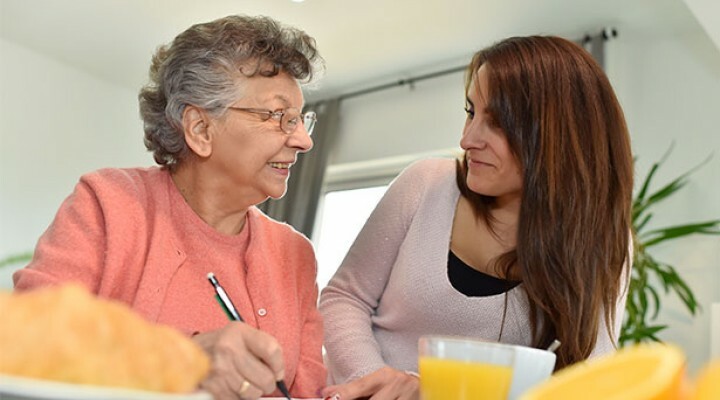 Family members will not have authority to access assets therefore; they may be required to pay for things such as care home fees or other liabilities until the order is granted. The Court will issue an order appointing the Deputy setting out the Deputy’s powers and authority to act. The Deputy will have access to the finances and property of the individual and is under an obligation to act in the best interests of that individual. Deputies are supervised by the Office of the Public Guardian. As part of this supervision Deputies are required to produce an annual report setting out all financial decisions as well as every payment made or received within that year. The authority of the Deputy is constricted to the Order issued by the Court, should the Deputy want to make decisions that are not contained in the Order a further application for authority would need to be made, incurring further expense. A Lasting Power of Attorney can help avoid the above situation and gives you the freedom to appoint people that you trust to act on your behalf. An application for a Lasting Power of Attorney is less time consuming, cheaper and less restrictive than a Deputy order. In addition, a Lasting Power of Attorney is not confined to mental incapacity but can be used should you find yourself physically incapable e.g. following an accident. Finally, the Lasting Power of Attorney is less of a burden on the Attorney as opposed to a Deputy order as they are not required to produce annual reports to the Office of the Public Guardian. A Deputy Order should be a last resort as having a Lasting Power of Attorney is the best way to plan for the future.